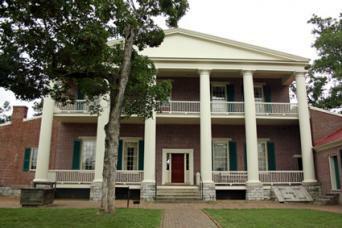 Tennessee haunted places are rich in folklore with spooky tales of ghosts. The Bell Witch story is perhaps one of the most well-known stories of the paranormal and supernatural. Some of the most haunted places and locations in Tennessee are hotbeds of paranormal activity where the supernatural is a permanent resident. 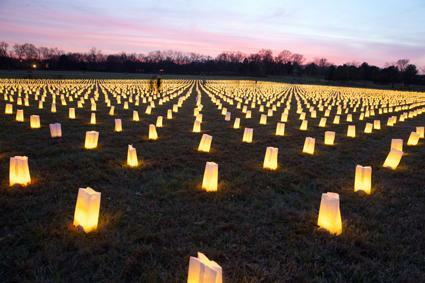 Like many battlefields, those in Tennessee are reported to be haunted by the soldiers who died on their soil. 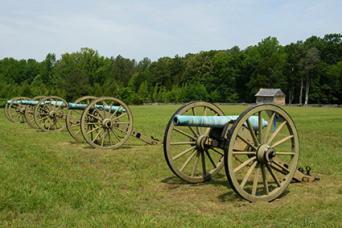 The Franklin Battlefield and surrounding area is especially active with paranormal and supernatural phenomena. Two homes played vital roles in the Battle of Franklin in 1864, the Carnton Mansion and the Carter House, and these locations are said to be haunted along with the battlefield itself and its cemetery. What Is the Most Haunted State? Shadowlands reports all kinds of paranormal activity have been reported in the battlefield and cemetery and the surrounding houses, such as running footfalls in the night, gunshots, sounds of drums, and disembodied voices. One visitor reportedly engaged in a long conversation with a Confederate officer he mistook for a re-enactment participant. There are 1,700 Confederate soldiers buried in the cemetery. The ghosts of twin brothers reportedly enjoy tickling or grabbing the ankles of passersby. The ghost of a young girl runs up and down the long cemetery fence and a lone soldier is said to stand guard over the cemetery. The Carter's eldest son killed in the battle is seen in the house as well as other soldiers. Another Carter son died as a toddler in a fall down the staircase and is often seen there. The sound of marching troops can be heard from the house. Nashville is one of the most haunted cities in Tennessee. One of the best-known hauntings in the city is at the home of the seventh President of the United States, Andrew Jackson. Now a public museum and National Historic Landmark, The Hermitage and its many buildings spreading over the 1,000+ acre estate are haunted. When members of the The Ladies' Hermitage Association moved into the house to begin renovations of the neglected estate, they were awakened one night by the sound of a horse racing up and down the upstairs hallway. They felt it was a message from Andrew Jackson, impatient with their efforts. Numerous tales of ghostly encounters haunt the estate, such as the loud banging and clanging of pots and pans coming from the kitchen. 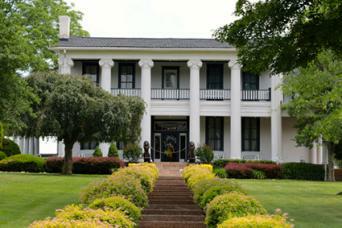 Apparitions of slaves are seen throughout the property, especially at the main house along the colonnade. The eerie sound of chains being dragged along the front portico and shuffling footfalls are some of the other sounds echoing throughout the property. 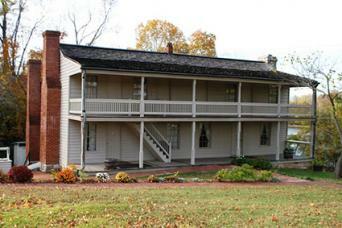 Haunted America Tours reports the Fort Donnellson National Battlefield Park in Dover, Tennessee is haunted. The battlefield and cemetery of this Civil War site is visited by the ghosts of slain soldiers. Witnesses report seeing soldiers wandering about the grounds as though in a daze. Some blame the spirits' unrest on hasty burials that didn't allow time for grave markers. One ghostly soldier stands guard over the cemetery. The sounds of gunshots and cannon fire are reported as well as the distinct smell of gunpowder permeating the air. Screams and moans come from the cemetery. People also hear disembodied voices and see ghostly apparitions around the Surrender House (Dover Hotel), which is part of the National Park where the Confederate Army surrendered. Orpheum Theatre is said to be haunted by seven different ghosts. Built in 1928 to replace the former Grand Opera House, the Orpheum outlasted bankruptcies, withstood a fire, and survived the threat of demolition. It's touted as the "premiere performing arts center for the Mid-South." Among the cast of ghosts, Mary is the youngest and most mischievous, constantly playing pranks on workers and revealing herself to patrons and actors. Mary is believed to be the spirit of a 12-year-old girl who died in an accident in front of the original theater. Lead actor in the hit The King and I, Yul Brynner claimed to have seen Mary in the theater. The other spirits are less visible, but make themselves known by opening and slamming doors shut. Hurricane Mills Plantation, now known as Loretta Lynn Ranch, was the former scene of a Civil War battle that claimed the lives of 19 Confederate soldiers. Prairie Ghosts reports that when country music star Loretta Lynn and her family purchased the estate, they soon began having ghostly encounters. Doors opened and closed by themselves, her twin daughters would awaken to see the spirits of women dressed in period costumes and her son once saw a Confederate soldier standing at the foot of his bed. Other instances of apparitions and the sound of chains dragging along the porch outside make this a very active site. Lynn and friends even met the spirit of the original owner during a séance that quickly became violent, as the ghost grew angry and lifted the table, sending it crashing to the floor. 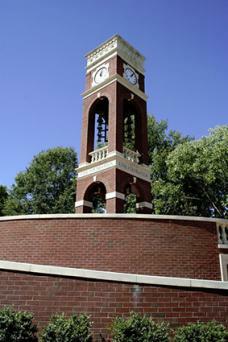 Burleson Hall: A professor's daughter who committed suicide haunts the building. Gilbreath Hall: Namesake Sidney Gilbreath (Uncle Sid) still takes care of the building by shutting all the windows and doors whenever there's a thunderstorm. Lucille Clement Hall: The spirit of a young boy killed in the elevator haunts the women's residence hall. Residents report the sound of marbles dropping, TVs turning on and off, channels changing on their own and water faucets turning on by themselves. Old Library: The spirit of a former librarian is still helping out. 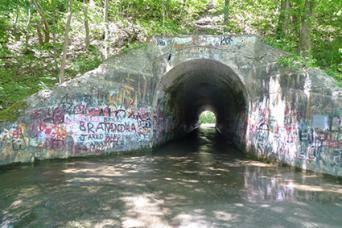 Built in the early 1920s, the Sensabaugh Tunnel is considered one of the most haunted areas in Kingsport. It is a popular favorite of ghost hunters who hope to catch an EVP (Electronic Voice Phenomenon) or capture an apparition on camera. Legend has it that Mr. Sensabaugh murdered his entire family in the stream that flows through the tunnel. Many witnesses claim to have heard a baby crying inside the tunnel. Spirit orbs and apparitions are also seen frequently in the area. The Capitol Records building is said to be haunted by the two daughters of Jacob Schnell who built an enormous mansion on the site in 1900. His daughters were never accepted into the local elite society and they lived with their father until his death. The women then remained in the mansion until their own deaths. 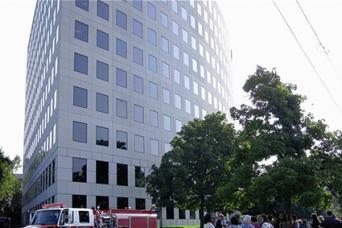 Capitol Records purchased the property, tore down the mansion and built their offices. Capitol Records occupies the 11th floor and it's believed the ghosts of the two sisters have taken up residence on the same floor. Employees report objects and items being moved and placed in strange areas, hearing footsteps in the hallways when no one is there, doors opening and closing by themselves, previously unlocked doors suddenly locked, and electronic equipment malfunctions. 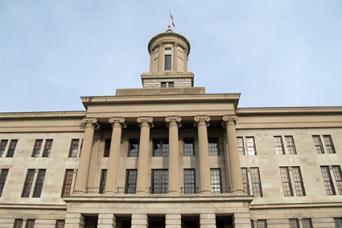 The State Capitol building of Nashville, TN is haunted by two men responsible for the building of the Capitol. Architect William Strickland never expected the building funds to run short and delay the construction for a nine-year period. The lack of funds created arguments between Strickland and Samuel Morgan, who oversaw the building fund. Strickland died in 1845 before the building was completed. The state built a vault to inter his body and eventually Morgan was interred there as well. Some people believe that the arguments between the two men over lack of money continue to this day. Veteran police officers attest to several incidences of being called to the Capitol in response to a disturbance of the peace. Loud angry voices are heard as two men seem to be arguing and calling each other names. When the officers investigate, no one is there. These episodes only occur in the north side of the building where Strickland and Morgan are entombed. The Shiloh National Military Park is also known as The Bloody Pond. It was the place where soldiers, injured from a two-day Civil War battle in 1862, sought water. What happened in the area is not the only reason for the name; it's said that sometimes when the sun strikes the water, it appears to be as red as blood. A woman in white appears to those who are sad or frightened and tries to comfort them. In the caretaker's home, the door and cabinet doors open and close by themselves. The eerie shadowy apparitions of soldiers have been witnessed crossing the battlefield in silence. There are many theories about what a ghost or spirit is and the exact nature of a haunting. The analogy given for a residual haunting is like a video being played over and over again, while an intelligent haunting is being created by a true spirit that's either benevolent or malevolent. Tennessee seems to have a mixture of both types of hauntings.